You’re probably familiar with the brightly colored “For Dummies” books. Some of the best-sellers include “Auto Repair for Dummies,” “English Grammar for Dummies” and “SQL for Dummies.” But did you know there is also a “QuickBooks for Dummies” series? Yes, the same way you need an instruction manual to learn the complex computer code “SQL,” QuickBooks requires extensive training for use. Every year, Dummies produces a line of books, pamphlets and cheat sheets for QuickBooks. They advertise the book to include interface tricks, keyboard shortcuts, right-click hints and more–and they’ve sold “millions of copies,” which seems to suggest that you can’t buy QuickBooks software without additionally purchasing some sort of dumbed-down manual. It seems ironic that the same company that claims QuickBooks makes small-business accounting “fast and easy,” prompts you to purchase an in-depth guide for using the software. And you know what? If you have completed a Masters in accounting and subsequently paid $150 to become “QuickBooks Certified,” the software is probably a cinch. But for the small business owner–who likely isn’t an accountant or software engineer–QuickBooks has an intense (and expensive) learning curve. Just because the software is more complicated, doesn’t mean it’s more sophisticated. Small business owners shouldn’t have to read a book to understand their accounting software. Between running and growing your business, you don’t have time to interpret the foreign language that is QuickBooks. Many small business owners who try QuickBooks, (either Desktop or Online), choose to hand their bookkeeping over to an accountant because the terrain is so treacherous. This only adds to your cost. 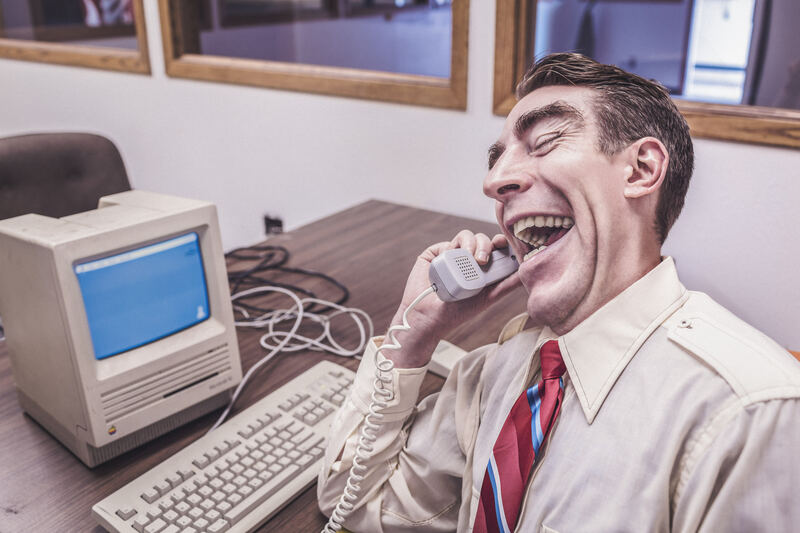 Your accounting software should be affordable and easy-to-use. DIY accounting doesn’t have to be frightening. And while we are in full support of hiring a bookkeeper to help put your financial reports on auto-pilot, you should be able to understand your software as well as they do. When you sign up with ZipBooks, you definitely won’t have to go out and buy a book. We designed our software with small business owners in mind, not just accountants. That means our user interface is simple and intuitive. Consider a comparison of QuickBooks’ (top image) and ZipBooks’ (bottom image) dashboards. 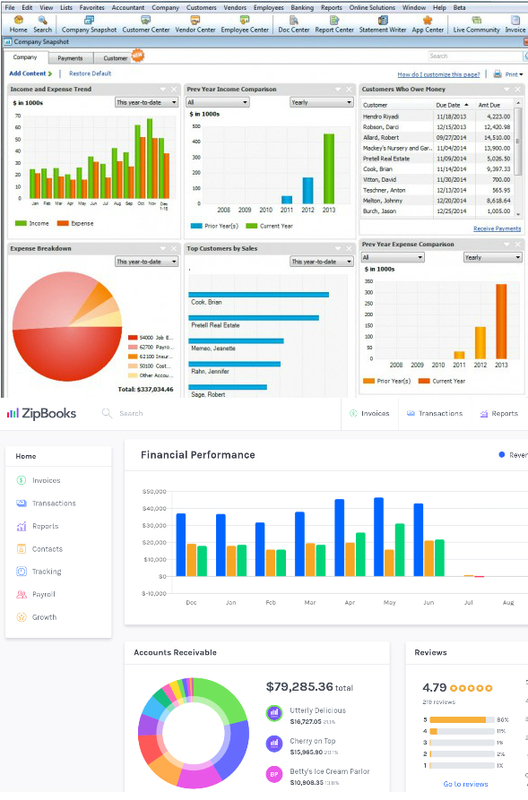 QuickBooks is dense and overly complicated, while ZipBooks is organized, clean and even color-coded. If you have questions about our software, we do have an extensive knowledge base that answers every FAQ. And we also have an amazing support team who are ready to chat with in the moment you need them. But, odds are, you won’t use either of those resources often. Your accounting software should not only be easy-to-use, but it should make you smarter as well. We take it upon ourselves to inform you about your business health and invoice quality. We’ll make suggestions–based on thousands of data points–that will show you how to get the most out of ZipBooks. Try out our free product and see how it compares! We’re not going to try to sell you a book, we want to sell you on yourself. Your business can accomplish great things, when it has the smart tools, instead of the dumb ones.